The Royals were unlucky to be relegated last season – yes, they were 11 points away from safety but I think if they hadn’t sacked Brian McDermott they would have been able to avoid the relegation zone. Despite that, Nigel Adkins is a good manager, as proved by getting Southampton from League 1 to the Premiership, he knows the league and is more than capable of guiding Reading to promotion. Wayne Bridge and Royston Drenthe are good signings for the club and will bring experience as well as something different to the team. They already have a group of class players and if they can keep hold of Alex McCarthy and Adam Le Fondre they’ll be able to have a great season. The Foxes were one of the best teams in the league last season and if it wasn’t for their diabolical run for the last few months of the season they would have finished first or second. They have one of the youngest squads in the league which will have learned from their mistakes from last season and will be back better than ever this term. With Jermaine Beckford set to leave for Bolton they can now start to sign a few players to strengthen the positions they are weakest in and be ready for the start of the season. Their captain Wes Morgan is arguably the best defender in the division and they have a great set of strikers to bang in the goals which could secure them the promotion they have been seeking for nearly ten years. It will be a close call between City and Reading for top spot but I reckon that The Royals will just edge it in the end. For the past few years Forest have been seriously lacking the spark they used to have. Nearly getting relegated thanks to Steve McClaren’s reign was a real wake up call for the Midlands club. After Billy Davies’ return last season The Reds seemed stronger and managed to get up to 8th after a bad start to the season. Now that Davies has had a summer to prepare his squad I think they’ll be in lethal form next term. The signing of Jack Hobbs from Hull will really strengthen the team as he is a quality player and has experience of success in the Football League – a promotion and play-off semi-final with Leicester and promotion with Hull will really stand him in good stead and he will be itching to get to the Premier League. Dorus de Vries is a good ‘keeper and his signing from Wolves will give them some extra assurance at the back. Forest will have a cracking season but they won’t be ready for the top yet, I think they’ll sit comfortably in the play-offs all season but automatic will be well out of sight for them. At the start of last season The Hornets weren’t expected to create any fireworks. 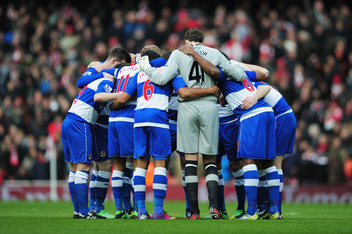 But Gianfranco Zola’s side set out to prove everybody wrong and they had a great season. If they had won the play-offs nobody would have denied that they deserved it. The loss to Palace in the final would have hurt the side but they’ll come back itching to set the record straight. The signing of Lewis McGugan from Forest is a great addition to an already good side and now they have Danny Pudil and Marco Cassestti on a permanent basis, they’re almost ready for the start of the season. Zola will make sure his team set out on a good start this year and they will definitely be promotion contenders, but I think the quality of Reading and Leicester is better than that of Watford and I think a comfortable play-off finish is more likely. Don’t get me wrong, Watford are a good side, and I think they will win the play-offs this time around but they might let themselves down a bit towards the end of the season, like they did on the final day of last year. QPR were destined for relegation last season and even with Harry Redknapp’s help they were unable to do anything about it. But Redknapp is a cracking manager and will do his best do get The Hoops back to the top, however he himself admitted that promotion in their first season back in the Championship would be “difficult”. They really need to sort their squad out as despite the undoubted quality they have, the players just can’t seem to work together as a team and they need more time to gel. Julio Cesar looks certain to leave but Rob Green remains, and he is a good goalkeeper for this divison. Joey Barton’s future at Loftus Road is also unclear but Loic Remy and Adel Taarabt don’t look like they’re going anywhere, and players like Park Ji Sung, Jermaine Jenas and Richard Dunne will be crucial to their season. Shaun Derry has experience of the division and has been described as “the perfect midfielder for the Championship”. Rangers will have a good season but I doubt they will be able to mount any real promotion challenge as their fans might expect. The Trotters are showing something different under Dougie Freedman than they were with Owen Coyle. They seem to have upped their game and are fighting to get back into the Premier League. They were unlucky last season, missing out on the play-offs on the final day to a “miracle” with Leicester City. But what they showed before that, climbing out from the threat of relegation to the top six was incredible to say the least. They’ll be back this term hoping to show that same quality from first game. The departure of Kevin Davies will hit the team hard – not only did he bring quality but his leadership qualities and experience benefited the team. They have made a few good signings though – Alex Baptiste and Marc Tierney will strengthen the team at the back and the incoming addition of Jermaine Beckford could go either way. 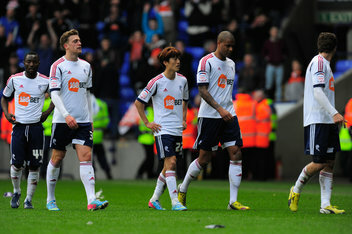 One thing is for sure though – Bolton are going to be fighting for the play-offs again this season. Wednesday will try their hardest this season but I don’t think they have what it takes to stay up. Dave Jones is an average manager at best and they haven’t really made any signings to aid the team, neither have they got many players of the quality to stay up. Jeremy Helan from Man City will either be a truly inspired signing or a terrible error of judgement. Chris O’Grady will be missed up front and the club’s money troubles mean that a replacement isn’t likely to come any time soon. 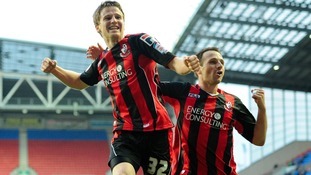 2013/14 will be Bournemouth’s first season in the Championship. They have a talented young manager in Eddie Howe who did a good job gaining promotion last season, and he probably does have the quality to be a successful Championship boss. But the Bournemouth team doesn’t really include any players of Championship standard – new signings Ian Harte and Elliott Ward are good players but Harte is getting old at the age of 35. Although the team will try their best and coming in off the back of a promotion will give them a boost and kick-start their season but come Christmas I can’t see them being any higher than the bottom half and ultimately I don’t think they’ll be good enough in the end. Like Bournemouth, this will be Yeovil’s first season in the Championship. Gary Johnson guided the team to promotion via the play-offs but I think he will struggle to find success at a higher level. New signing Joey Jones from Leicester is a talented player, and loan signings Michael Ngoo and Billy Clifford from Liverpool and Chelsea are both good acquisitions for the club, however they have no players of the quality needed against others in the Championship. I think they will struggle over the next season and will probably prove that they are not cut out for this division. I don’t think that there will be many shocks or surprises this season – Charlton could be in with a shout of a play-off challenge, Chris Powell is a talented manager and they have a couple of players who could be decisive in whether they have a good or bad season. Wigan will be hoping for an immediate return to the Premier League and will be up there come the end of the season, however with the departure of some players and Roberto Martinez, the team could struggle to adjust and a top half finish seems more realistic. Leeds and Derby are also teams who will finish in the top half this year but again top six seems a bit too ambitious for the two sides. Down at the other end of the table, Barnsley will be hoping for a higher finish this season and will try to avoid a relegation scrap, and with the signings of Chris O’Grady and Dale Jennings they could have a better year. Jennings is a very talented player and has the ability to get plenty of goals. Blackburn will hope that they can have a better season after last year’s diabolical performance, but I don’t think they’ll be able to finish much higher than they did and they could find themselves involved in a relegation battle. Blackpool could also struggle as I don’t think Paul Ince has the quality to manage at this level, whilst Doncaster will be hoping to stay up after gaining promotion from League One last season. One thing is certain for this season though – the Championship will remain one of the toughest second divisions in the world and we are sure to be in for a thriller. 16 year old Leicester City fan and aspiring sports journalist. Impartial views on all things football!